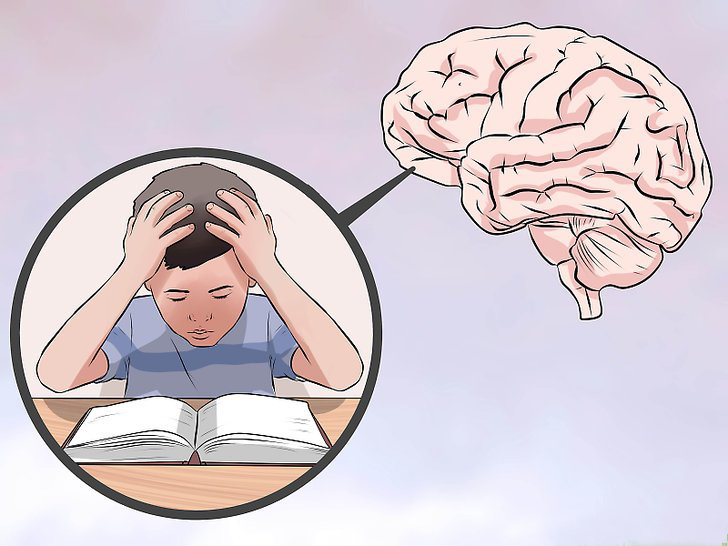 Attention deficit hyperactivity disorder (ADHD) (ICD-10 F90.0) is a major and complex psychiatric disorder and highly prevalent in children as well as adults. ADHD impacts not only the affected individuals but also their families and social and professional networks. The clinical and diagnostic criteria for ADHD remain imprecise, in part, due to lack of robust biomarkers or sophisticated diagnostics (Akgün et al., 2011; Wender et al., 2001). Innovation in complex disease diagnostics and systems biology approaches examining multiple putative genes and pathways are thus timely and much needed (Bonvicini et al., 2016; Mhandire et al., 2016; Palmieri et al., 2016; Yilmaz et al., 2016). The prevalence rates for ADHD in childhood are estimated around 3% and generally fall within the 3% to 5% range cited in the Diagnostic and Statistical Manual of Mental Disorders, fifth edition (DSM-5), when strict diagnostic guidelines are followed, with similar prevalence rates found for adults. Persistence rates for ADHD into adulthood for the diagnosed children range from 40% to upward of 75% depending on the definition of persistence used. That is, the rates for full persistence range from 36% to 40% using strict DSM criteria, whereas the rates for symptomatic persistence with functional impairment are higher at upward of 75% (Ramsay, 2017). The clinical and diagnostic criteria for ADHD remain imprecise, on the other hand, due to lack of robust biomarkers or sophisticated diagnostics. ADHD comprises multiple subsets of diseases that present a shared set of downstream clinical findings while displaying extensive molecular and biological heterogeneity. This calls for innovation in diagnostics that can help establish an ADHD diagnosis unequivocally as well as guiding precision medicine in this common mental health disorder. It is interesting to note that no study has examined, to the best of our knowledge, the upstream regulation of miRNAs that impact the downstream final ADHD phenotype. The latter focus on putative biomarkers that regulate the regulators and can be tested empirically, for example, through genetic association analyses of the biogenesispathways for miRNAs that impact downstream, on the ADHD phenotype. 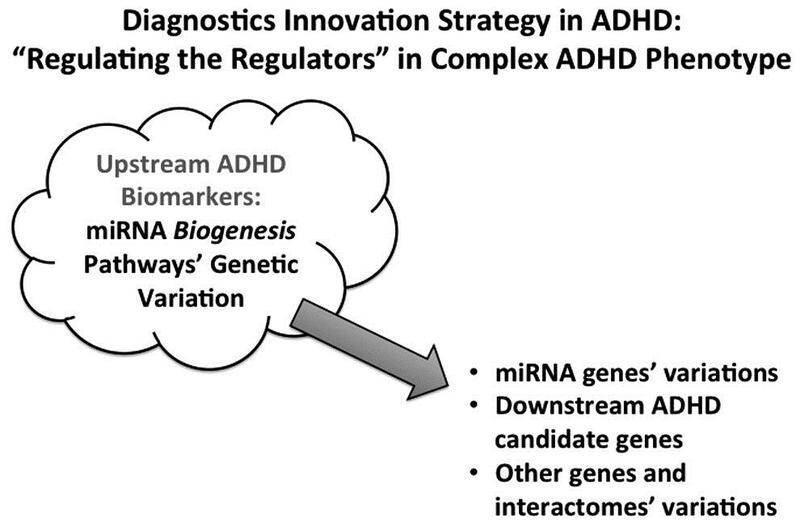 Figure 1 displays a conceptual depiction of our proposed diagnostics innovation strategy and the ways in which upstream miRNA biogenesis pathways' genetic variation might impact the downstream candidate genes and interactomes pertaining to ADHD complex phenotype. Hence, miRNA biogenesis pathways can be underscored as upstream regulators that regulate downstream pathways such as miRNA genetic variation. miRNAs are among noncoding RNAs and play a pivotal role on translational regulation of eukaryotic gene expression. miRNAs that control the protein coding genes are key molecules in gene regulatory pathways. There are multiple processing steps to produce the mature miRNA. Each step of mature miRNA biogenesis is under control and disruption of these control mechanisms is associated with various human diseases (Finnegan and Pasquinelli, 2013). We report here polymorphic variation in ten miRNA biogenesis pathway genes, including RNASEN, DGCR8, XPO5, RAN, DICER1, TARBP2, AGO1, AGO2, GEMIN3, and GEMIN4, in a large sample of 355 subjects from the Eastern Mediterranean region. Moreover, we underscore the study of miRNA biogenesis pathway molecular genetic variation as a new strategy for biomarker discovery and diagnostic innovation strategy in ADHD specifically and psychiatric genetics more broadly. Figure 1. The upstream miRNA biogenesis pathways’ genetic variation impacting the downstream ADHD mechanisms such as miRNA genes and, by extension, other candidate genes and interactomes pertaining to ADHD complex phenotype. Hence, miRNA biogenesis pathways are underscored as upstream regulators that in effect regulate the downstream disease mechanisms such as miRNA genetic variation. ADHD, attention-deficit/hyperactivity disorder. The complete article and its references can be accessed at Mary Ann Liebert, Inc.
OMICS: A Journal of Integrative Biology, published by Mary Ann Liebert, Inc., the only peer-reviewed forum covering all trans-disciplinary OMICS-related areas such as integrative (systems) biology and medicine, including but not limited to those specialties listed below. The above article was first published in the June 2017 issue of OMICS: A Journal of Integrative Biology with the title “Regulating the Regulators in Attention-Deficit/Hyperactivity Disorder: A Genetic Association Study of microRNA Biogenesis Pathways”. The views expressed here are those of the authors and are not necessarily those of OMICS: A Journal of Integrative Biology, Mary Ann Liebert, Inc., publishers, or their affiliates. No endorsement of any entity or technology is implied.